Between work and house hunting (and of course hunting for the perfect baking kitchen) I haven’t had a lot of time to post. But two weekends ago I made this pie for a 5th birthday party we attended. It was for our friend’s son, and they always have the best themes. This year’s was “county fair”, and it had games, a dunk tank, and a blue ribbon contest. My pie didn’t win, but it was well received. Since a requirement of fair food is that it has to be fun, I decided to go with a s’mores pie… with graham cracker crust, creamy chocolate filling, and topped with toasted marshmallows. I followed the recipe straight from a blog I found online, but I didn’t love the graham cracker crust. I found it too crumbly and it didn’t really hold up to cutting. So I’m going to post my own crust recipe, which I used to make pumpkin pie cupcakes last October. Break up the graham crackers and pulse in the food processor until you have 1½ cups of fine crumbs. Mix the crumbs with the melted butter and sugar until it is well blended. Press onto the bottom of a glass pie dish and bake for 8-10 minutes. Whisk together the milk and cream in a medium saucepan. Warm over medium-low heat and add chocolate and the salt. Stir until it is completely melted and smooth. Add the whisked eggs slowly and mix until smooth. Pour the chocolate filling into the crust and bake for 15-20 minutes, until it is set. Remove from oven. 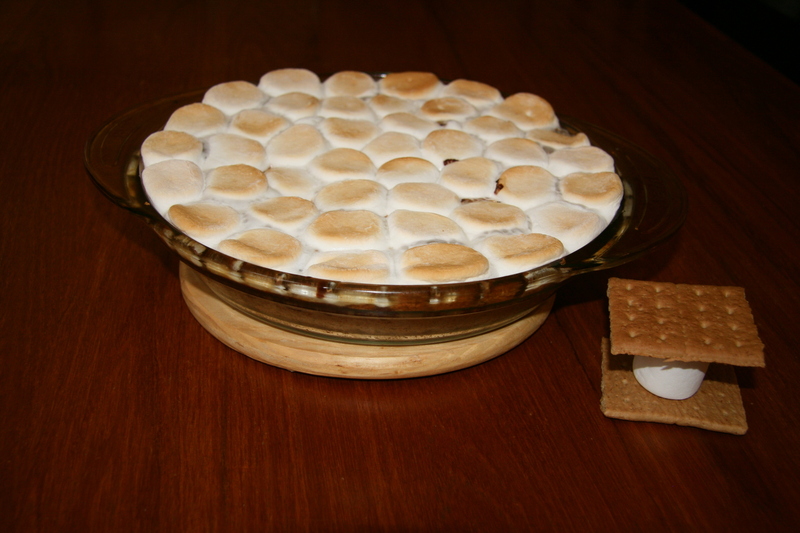 Cut large marshmallows in half using kitchen scissors, and place on top of the pie in a circular pattern until it is completely covered. 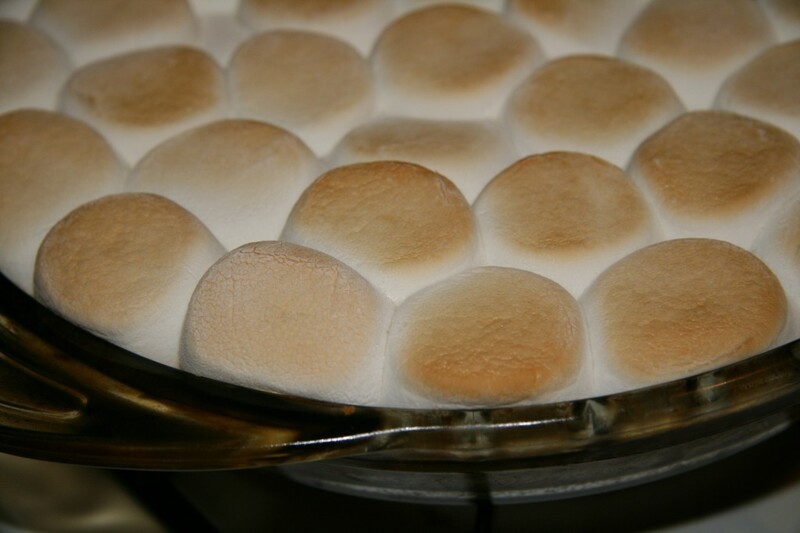 Set the oven to broil and once it has reached the correct temperature, place the pie on the top rack for 2-5 minutes, until the marshmallows are toasted. Watch closely because this will happen quickly. Remove from oven when marshmallows are the desired color. This pie is best served warm. So if you do not serve it straight from the oven, pop it in the microwave for a few seconds to warm it up.